Rollston, "Who Wrote the Torah According to the Torah?" PROF. CHRISTOPHER ROLLSTON: Who Wrote the Torah According to the Torah? (TheTorah.com). I have posted some thoughts on the current state of Pentateuchal source criticism here and here. And I have said more about lost books quoted in the Hebrew Bible here and links. MICHAEL SATLOW: Naming Rabbis: A Digital List. A little over five years ago I posted an idea about creating a social network analysis of the rabbis found in classical rabbinic literature. In the interim I have thought a lot about this project but have done very little on it. I still believe it is worth doing, though, and I have finally taken a concrete step forward. The list of names is now in a spreadsheet. The outside-the-box approach of this project could produce some illuminating results about the ancient rabbinic social world. THE BIBLE AND INTERPRETATION: Bethsaida Controversy. By Rami Arav. University of Nebraska at Omaha, August 2017. Dr. Arav thinks that the site of e-Tell was Bethsaida, not, as argued in recent media reports (see here and links), El-Araj. Past posts on the e-Tell excavation and the possible identification of the site with Bethsaida are here, here, and here. “The Library of Early Christology” is a new series of reprinted works focused on the origins of beliefs in and devotion to Jesus as sharing in divine honor in early Christianity, the series published by Baylor University Press. This new series reprints some excellent, classic works of scholarship. They are generally also important for understanding ancient Jewish messianism and divine mediation. THIS IS MY THIRD POST commenting on Samuel Zinnner's comprehensive report on the Jordanian Lead Codices: Son of the Star: Bar Kokhba and the Jordanian lead books, which has been published online by the Centre for the Study of the Jordanian Lead Books. The fourth post, with concluding remarks, is here. For previous posts on the codices, start here and follow the links. This post is on the quotation in some of the codices of a line from the Abgar-Selaman inscription. Regular readers may recall that this is a Nabatean-Greek epitaph from the early second century CE, found in Madaba, Jordan. Dr. Zinner’s discussion of it is on pp. 465-501, although it comes up here and there throughout the report. The inscription has been in a Jordanian museum since the 1950s. I do not know anything more about the history of its discovery and handling before it was put in the museum. You can read Dr. Zinner's translation of the whole inscription on p. 466. The epitaph is for one Selaman (Shalman), the deceased in the grave. His father, Abgar, set up the gravestone and had the epitaph inscribed on it. A number of the codices, both of lead and of copper, quote a single line from the Greek section of the epitaph. Part of the line is repeated in mirror writing. The line could be interpreted as something like, “O griefless one, hail, Abgar, (who is) also Eision!” This works grammatically, but is complete nonsense in relation to the inscription. The “griefless one, hail!” is addressed to the deceased, Selaman. The name Abgar begins a new sentence that tells us that Abgar put up the monument in a certain year. There are perhaps some other references or allusions to the epitaph in the codices, but this is the important one. I need not repeat the details of the story of how in 2010-11 Peter Thonemann, a Classicist at Oxford, noticed the nonsensical use of the Abgar inscription in one of the copper codices and he concluded that this codex was a fake. I concurred on this at the time and I still agree. But Dr. Zinner has advanced a number of arguments for the possibility that the use of the epitaph in the lead and copper codices happened in antiquity. I will address his points here. Sometime go and visit a very old cemetery. 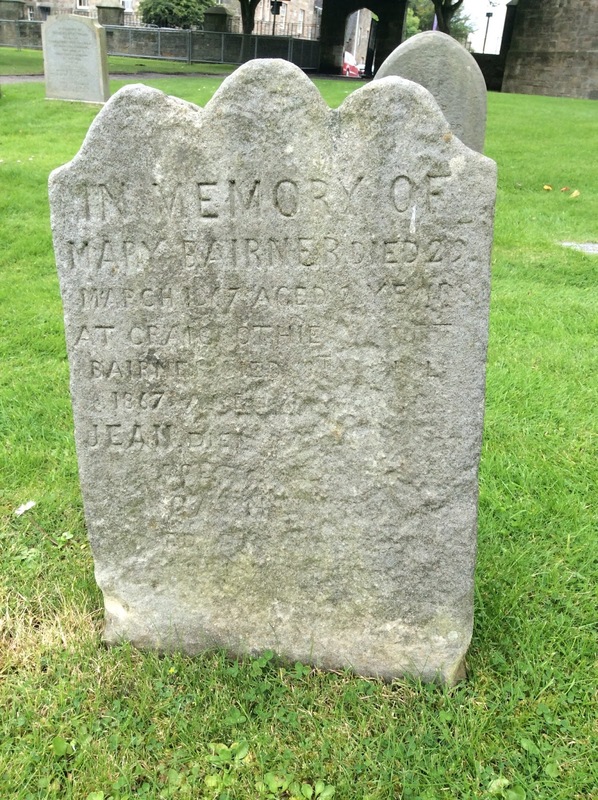 Look at the condition of the older gravestone inscriptions — say, 150-200 years old and more. Then imagine their state after nineteen hundred years. The desert climate is not kind to stone. Imagine the gritty, abrasive winds and the extreme range of temperatures, from baking hot to icy cold. How many countless more Natabean gravestone inscriptions perished from the harsh desert climate in the last two millennia? How many more still lie buried in the sand? The Abgar-Selagman epitaph is badly abraded and in places only just readable. Isn’t it lucky that it just happened barely to survive to our day so that we could identify the mysterious quotation in the codices? This is a level of luck that I find hard to believe. Second, Dr Zinner offers some guesses about why the epitaph might have been quoted in the codices in antiquity. He sums these up on p. 480. I am not sure he mentions all the possibilities he suggests throughout the whole report, but this is at least most of them. Even though the Madaba Abgar would have been unrelated Abgar VII, could the Jordanian lead books’ interest in the name Abgar conceivably have had something to do with the fame of the Syrian Abgar dynasty, especially since Abgar VII had joined an anti- Roman rebellion in the time of Trajan, shortly before the Bar Kokhba revolt under Trajan’s successor Hadrian? These are very specific questions, not just about Natabean rituals, but about the actions and movements of particular individuals. The existence of this "aspect" of Nabatean funerary rites and the actions of these people (and even the existence of some of the people) is entirely conjectural. The answer to any of these questions could be yes — it is very hard to prove a negative for such things — but the questions are just speculations. You can argue for pretty much anything this way. I take it that no persuasive explanation for the bizarre use of the inscription by the codices commends itself to Dr. Zinner. I cannot think of one either. So now we have the remarkably unlikely preservation the epitaph to the present, with the codices quoting the epitaph in a random, unfathomable way. This looks like clumsy modern work to me. What do you think? Third, Dr Zinner shows that Dr. Thonemann was incorrect to make an issue of the Greek letter Alpha not having a crossbar on the copper codex. I accept this point. It is not very important. Fourth, other grave inscriptions sometimes give the names of the deceased in mirror writing. Dr. Zinner sees this as a parallel to the mirror writing in the quoted Abgar-Selaman line on the codices, which does not involve a name. Well, maybe. The codices also use mirror writing in various ways in their Hebrew inscriptions, so it is not surprising to see it here. As with the Hebrew texts, it gives an air of mystery without providing any actual information. The use of the mirror writing is not the same as in the grave inscriptions, as Dr. Zinner acknowledges. Fourth, some late-Hellenistic gold leaf amulets use a phrase that is also found on grave epitaphs: “Take courage, NN, nobody’s immortal.” Dr. Zinner sees this as a parallel to the use of the Abgar-Selaman inscription. The parallel is very weak. The “funerary adage” on the gold amulets is a proverbial expression. It is a coherent text in itself that makes sense in context on both the epitaphs and the amulets and has the same meaning in both. The quote of the Abgar-Selaman inscription is from a once-off, unique text that is quoted in a way that is nonsensical from the perspective of the original inscription and baffling on the codex. It corresponds exactly to one line of the inscription, as though someone copied a line at random without regard to its content. Abgar is not even the entombed deceased. It is very hard to escape the conclusion that this is a clumsy attempt to vary the monotonous text extracted from the coins with a random line from another ancient inscription that happened to be handy. Fifth, Dr. Zinner draws some parallels between the quotation of the Abgar-Selaman inscription and another Jewish epitaph which refers to the “One God” (heis theos) in an apparently apotropaic context. He thinks that the arrangement and content of the Hebrew and Greek letters of the codex inscription encrypt allusions to the Jewish Shema prayer and imply that the first three letters of the last name in the quoted line (“eis” from “Eision”) is a covert allusion to its reference to the One God. I find all this very speculative. The supposed decryption certainly involves a dizzying amount of dot-connecting. See pp. 493-501 of the report and see what you think. These pages in the report cover other material, but I think I have addressed his main points regarding the quotation of the Abgar-Seliman inscription in the codices. If the quotation was made in antiquity we must believe that, by an extraordinary piece of luck, both the codices and the inscription survived nearly two millennia, and both were rediscovered so we could notice their relationship. Moreover, this lucky survival confronts us with a bizarre quotation that makes no sense according to the original inscription, while any reason for its use in the codices is a matter of conjecture. It doesn’t add up. Again: it looks like someone in the modern period, or at least at a time much closer to the present, made clumsy use of the inscription to give variety to the clumsy use of the coin inscriptions and iconography. At least that’s how it looks to me. My next post will offer some concluding reflections on the report and on what we are to make of the codices. Cross-file under Fake Metal Codices Watch. I acknowledge that various elements of the current discussion may point to some of the codices being something other than fake, but I remain to be convinced. See my coming post for more. In any case, I continue to include this cross-file rubric so that readers can search it to find all my posts on the subject. NUMISMATICS: Archaeologists May Have Found Ancient Bethsaida (Julie Stahl, CBNNEWS.COM). I have already noted this story here, but this article mentions a detail that I did not cover specifically. It is worth mentioning on its own. "Also, two coins were discovered," he [Dr. Mordechai Aviam] said. "One of them is a silver coin of Emperor Nero, from the year 65 to 66 [in the] first century. That's what we are looking for." There is a nice photo of the Nero coin. You can see the inscriptions pretty clearly, although the last few letters on the left one are hard to read. I think it says "NERO CAESAR AUGUSTUS" on the front (the left image with Nero's bust) and on the back "SALUS" ("health," "greetings" - the right image with the seated figure). The phrase "Nero Caesar" has come up on PaleoJudaica with reference to its cryptic use in the Book of Revelation. (See here and links). John's cipher Number of the Beast, 666 or 616, appears to refer to the numerical value of the two spelling of the Latin phrase when transliterated into Hebrew letters. This coin gives us one of those spellings in the original Latin in a Roman inscription. So now you've seen it. The Commandments of Judas Iscariot? NEW TESTAMENT APOCRYPHA WATCH? Bizarre 18th century Jewish items seized from archaeology smuggler in Egypt. Collection of artifacts taken from a Saudi citizen; also found, and undated, was a 29-page book written in esoteric ‘Hebrew,’ described as ‘the commandments of Judas Iscariot’ — and illustrated with scorpions (Amanda Borschel-Dan, Times of Israel). An additional find in the seized collection was a 29-page Hebrew book described by the Egyptians as “the commandments of Judas Iscariot,” one of the 12 disciples of Jesus. This item was not dated to the 18th century. Two images of pages from the book released by the Ministry of Antiquities include esoteric “Hebrew” text, which appears to be a poor translation from some other language. The pages are black and white and decorated with what could be either scorpions or lobsters. In the center of each page is a poster-like block of text written in disjointed Hebrew. I have never heard of "The Commandments of Judas Iscariot" and I'm pretty sure that there' no such apocryphon. To which our enterprising, if incompetent, forger might reply, "There is now!" PROFESSOR RABBI MARTIN LOCKSHIN: (TheTorah.com). The law of the eglah arufah (the heifer whose neck is broken) has puzzled both traditional and modern commentaries. What is it meant to accomplish? How does it work? THIS WEEK'S DAF YOMI COLUMN BY ADAM KIRSCH IN TABLET: Surprise, Discovery, Ritual, Meaning, and Wonder. Five years into the seven-year ‘Daf Yomi’ cycle of Talmud study, our columnist pauses to reflect on what the ancient text has taught him about being Jewish today. I believe, however, that for the purposes of these columns, my unfamiliarity with the Talmud might actually be an advantage. I think I approach the text with the kind of assumptions and questions that the majority of American Jews (and non-Jewish readers, too) would bring to it. What, on the most basic level, does the Talmud say? What sorts of subjects is it concerned with? How is it written? What is the famous “Talmudic” quality that, in English, is merely a synonym for needless complication? One reason I wanted to write about the Talmud is that I could never find a book that answered these questions in what felt like a concrete and comprehensive way. I hope to serve as a kind of scout of the territory for readers interested in the Talmud—hopefully, a good, encouraging scout like Joshua and Caleb, not an intimidated or despairing one like the other 10 spies. I think he has done a good job. I am not a Talmudist. Even though I'm an expert on other aspects of ancient Judaism, I have learned a lot from his columns. I look forward to more. ANCIENT JEW REVIEW: Book Note | The Bible in Arabic (Josh Mugler). Sidney H. Griffith. The Bible in Arabic: The Scriptures of the 'People of the Book' in the Language of Islam. Princeton: Princeton University Press, 2013. This issue of identification aside, much of the first half of the book is devoted to determining the date and context of the earliest written Arabic translations of the Bible among both Jews and Christians, and particularly whether there is any evidence that such translations may have been in existence before the advent of the Arabic Qur’an, as argued by Hikmat Kachouh and other scholars. To make a long story short, Griffith finds no conclusive evidence for such an early date, and in fact argues what may be a somewhat counterintuitive point: that the publication of the Qur’an was itself the major catalyst for Jewish and Christian efforts to translate their own scriptures into the newly dominant regional language, and that the influence of the Qur’an upon the lexicon and style of classical Arabic in turn means that these translations are necessarily marked by numerous Qur’anic turns of phrase. I noted another review of the book here. For more on Arabic translations of the Bible, see here and links. H-JUDAIC: McGill University, Jewish Studies,Flegg Postdoctoral Fellowship. Follow the link for application information. The deadline for receipt of all materials is 1 December 2017. READING ACTS: How did Joseph Get His Wife? – Joseph and Aseneth 1-22 (Phil Long). For Phil's previous post on Joseph and Aseneth, see here. There I also have some comments on the current state of the question about the text and provenance of the work. Follow the links there for the many past posts in Phil's series on the Old Testament Pseudepigrapha. THIS IS MY SECOND POST commenting on Samuel Zinnner's comprehensive report on the Jordanian Lead Codices: Son of the Star: Bar Kokhba and the Jordanian lead books, which has been published online by the Centre for the Study of the Jordanian Lead Books. Dr. Zinner has presented a basic decipherment of the texts and I accept it as essentially correct. But let’s be clear on what that means. The people who made the codices made use of some coins from the various Jewish revolts, some other Hellenistic and Roman-era coins, and a second-century-CE grave epitaph. These are the sources for almost all of the text of the codices and at least most of the iconography. There is arguably some knowledge of the Bible and late antique and later magical and mystical traditions as well. See p. 214 of the report for a summary of the deciphered content. They took these sources and copied out some coin texts with all sorts of creative reordering and creation of words that could be made from the letters. There is virtually no connected text; just words and the occasional brief phrase, plus apparently lots of nonsense sequences of letters. Sometimes words are backwards, arranged in geometric patterns, broken up with other letters in between, or some combination of such rearrangements. Any attempt to make more sense of the texts amounts to a Rorschach test for cognitive dissonance. My own view is that this is exactly what their creators intended. To me the objects look like a modern, or at least comparatively recent, attempt to make evocative texts using the very little surviving material from the coins. People who had access to very limited artifactual information about ancient Judaism created faux-artifacts on the basis of what they had. They used the coin inscriptions to make up texts that were ultimately meaningless, but always just on the verge of making sense. This was a cover for their lack of information and inability to produce a coherent and convincing ancient text. The texts on the codices offer just enough dots with just enough clear connections to invite their readers to try to connect more dots and make them say more than they do. That is my reading of them or, if you wish, the direction my own confirmation bias takes me. To Dr. Zinner they look like something far more significant: an elaborate esoteric statement with evocations of nationalist ideology and mystical and apotropaic traditions. He draws on an impressive panoply of sources to make sense of them: Mesopotamian cylinder seals, Ophric gold plates, an ancient Celtic coin, Greek magical amulets, grave inscriptions, the Gospel of John, the Book of Revelation, late-antique Synagogue iconography, Sefer HaRazim, Babylonian incantation bowls, Samaritan theology, 3 Enoch, the Zohar, other Kabbalistic traditions, medieval and Renaissance magic, etc. This is an incomplete list, but it gives you the idea. His justification for drawing so much on later material is that these late traditions sometimes preserve much older material. This is true, but a very little of that goes a long way. I do not find his interpretation convincing. If one compares material from a vast range of dates and provenances to the allusive and evocative texts on the codices, it would be hard not to find some interesting connections. I doubt that the analysis would pass muster in a peer-review publication without a great deal of pruning. (Of course, there is potentially a direct way to prove me wrong on that.) And even if we assume, for the sake of argument, that his analysis is mostly correct, I think it would amount to compelling evidence that the codices were produced in the Renaissance or later. The most I can do in a blog post is suggest to you a broad interpretation of the epigraphic evidence of the codices which is an alternative to Dr. Zinner's. Have a look at the evidence and see which interpretation makes more sense to you. I blog, you decide. I do not have time to comment on many of the claims in the report in detail, and to do so would try the patience of my readers. But I do want to say a little more about the use of the Abgar-Selaman inscription. I think it a crucial piece of evidence for our understanding of the codices. Cross-file under Fake Metal Codices Watch. I acknowledge that various elements of the current discussion may point to some of the codices being something other than fake, but I remain to be convinced. See my coming posts for more. In any case, I continue to include this cross-file rubric so that readers can search it to find all my posts on the subject. ARCHAEOLOGY AND EPIGRAPHY: Emperor Justinian Mosaic Inscription Unearthed near Damascus Gate (JNi.Media). H-JUDAIC: Jewish Theological Seminary, Rabbinic Literatures and Cultures, Assistant Professor, Rabbinic Literatures. The Jewish Theological Seminary (JTS) is seeking a dynamic and creative assistant professor of rabbinic literatures and culture, including Talmud and Midrash. The candidate should have a passion for teaching and be engaged with current methodologies in the study of rabbinic history and literatures. The ideal candidate is an accomplished scholar and teacher who is committed to the mission of JTS. Follow the link for application information. The deadline for full consideration is 20 October 2017. Seidler, "Jewish Identity on Trial: The Case of Mordecai the Jew"
NEW ARTICLE IN THE ONLINE JOURNAL OF HEBREW SCRIPTURES: Jewish Identity on Trial: The Case of Mordecai the Jew, by Ayelet SEIDLER. Abstract : The book of Esther deals with issues of Jewish identity in exile. This article argues that early in the story (chapters 2 and 3) Mordecai is depicted as trying to assimilate into Persian culture before experiencing a reversal and returning to his Jewish identity, a development that occurs from chapter 4 onwards. This reading illuminates an important theme addressed in the book, namely, how the danger of assimilation threatens Jews in the Diaspora. The book portrays an ideal Jewish leader operating in a foreign court while adhering to his Jewish identity and serving his fellow Jews. NUMISMATICS: Ancient coin discovered in Halamish. 9-year-old girl finds coin from time of Temple with inscription 'Holy Jerusalem' (Mordechai Sones, Arutz Sheva). A surprising and apparently shocking discovery in Neve Tzuf, in Binyamin: Hallel, a girl of about nine, discovered an ancient coin that turned out to be a half-shekel coin with the inscription "Holy Jerusalem." Arutz Sheva spoke with the girl, Hallel, and her father, attorney Shimon Halevy, and Prof. Zohar Amar, who conducted the preliminary examination of the coin. For past PaleoJudaica posts on half-shekel coins and their use, start here and follow the links. READING ACTS: Joseph and Aseneth (Phil Long). I discuss Joseph and Aseneth in my book, The Provenance of the Pseudepigrapha (Brill, 2005), pp. 190-195. It should be mentioned that Joseph and Aseneth survives in Greek in several different recensions, two of which could be argued to be more original. 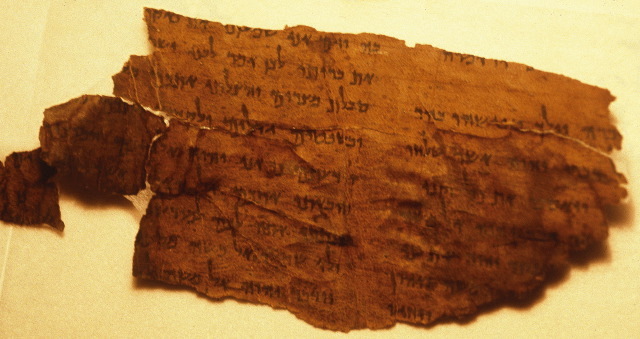 It is widely thought to be an Egyptian Jewish work, although it has also been read as a late-antique work by a Christian, a God-fearing gentile, or a Samaritan. It does read plausibly as a defense of gentile conversion to Judaism, but it could also be read as a Christian warning to avoid being "unequally yoked with unbelievers" (2 Cor 6:14). See my book for more comments on the provenance of Joseph and Aseneth. For notice of previous posts in Phil's ongoing series on the Old Testament Pseudepigrapha, start here and follow the many links. RELIGION PROF. BLOG: Bloggers’ Dinner and Drinks at #AARSBL17. James McGrath issues the annual invitation. The timing of this never seems to work for me. But I'll stop by if I can. NUMISMATICS: Israel Museum coin exhibit shows a daughter’s love is worth more than gold. Priceless collection of 75 gold Roman coins depicts evolution of propaganda and portraiture over 300 years (Amanda Borschel-Dan, Times of Israel). AS PROMISED at the beginning of the month, I have some comments on Samuel Zinnner's comprehensive report on the Jordanian Lead Codices: Son of the Star: Bar Kokhba and the Jordanian lead books, which has been published online by the Centre for the Study of the Jordanian Lead Books. It is a massive work, over 1100 pages long. I will not attempt a detailed response, which would have to be very lengthy indeed. But I do want to address what I see as the main points raised in the report and to give you my views about them. So think of this as a long book review. This is the first of four blog posts on the report. UPDATE: For more recent PaleoJudaica posts on the metal codices, start with this one and follow the links: The metal codices are "forgeries" according to the Jordanian DoA (8 April 2018). Note also in particular this post from October 2017: Metal codices seized in Turkey (6 October, 2017). If you were directed here from Steve Caruso's Jordan Lead Codices website, let me clarify that I was a participant in the 2011 e-mail group it mentions, but I am not a participant in the production of his site. He created and maintains that website and it represents his views. You can read my views on the subject here. I begin with some comments on the materials tests on the lead. Apparently the definitive result of the tests at the University of Surry is that the tested codices in their current form must be at least 100 years old. More specifically, there were tests on the (polonium) radiation content of the lead and on alpha particle emission from the lead, and both gave results of zero. Reportedly the first indicates an age of not less than 100 years and the second an age of not less than 200 years. This is what the Lead Book Center report and the films say. That said, there is an anomaly that I would like to have clarified. The University of Surrey’s press release refers to both tests and only claims that the they indicate that the lead is “more likely” to be over 100 years old. It says nothing about 200 years. And in the films, in an interview clip with Chris Jeynes (of the University of Surrey) repeated twice, he says that it is “very unlikely that the artifacts are less than fifty years old.” So we are hearing somewhat inconsistent claims here. I imagine that this is just a matter of confused presentation, but I do think it needs to be cleared up. The films, the Surrey press release, and the report also make various claims about analysis of the corrosion on the codices as seen on the high-resolution photographs. These claims are not about tests done at Surrey and should be kept separate from those tests. The basic claims are that the corrosion would have taken at least a century, probably multiple centuries, and perhaps many centuries, to build up and the analyzers can think of no way that the effect could have been faked by a modern forger. I am not specialist in metallurgy, ancient or otherwise, or in ancient material culture. I am not capable of a specialist’s critical evaluation of the tests and analyses. At the same time, I think that it is fair to demand a high standard of transparency and scholarly process when we deal with them. The metals tests are potentially important, but I would like clarification on what exactly the Surrey tests prove. I also think the claims about the corrosion need to be filtered through peer-review in a journal on ancient material culture. Any of those claims that make the peer-review cut would need to be taken very seriously. It is also unfortunate that none of the numerous lab reports on the tests on the codices have ever been published in full. I understand that this is largely or completely outside the control of the Lead Book Centre, but again I call upon those who own copyright of the lab reports to publish them in full. I will anticipate my forthcoming comments to the extent of saying that what I see now is a confusing lack of correspondence between the physical evidence (the metals texts and analysis) and the textual and iconographic evidence. The textual and iconographic evidence does not align with the codices being ancient artifacts. Rather it points to their being clumsy modern productions. The physical evidence indicates that they are old and possibly very old. When the scientific tests and the more traditional forms of analysis do not line up, we have a problem. This is not the first time we have been here. Remember the Gospel of Jesus’ Wife? The early reports told us that analysis of the physical appearance of the papyrus (by two professional papyrologists!) indicated considerable age. There were materials tests for the GJW as well. The first round of Carbon-14 testing gave a date in the pre-Christian era, which was not particularly helpful. The second round gave it a still relatively ancient date of the eighth century CE. The ink used was also found to be consistent with an ancient origin. These were highly credible tests at the University of Arizona and Harvard University. At the same time, from the beginning there were serious textual, linguistic, and paleographical problems with the GJW. In due course more information was uncovered, and now no specialist wishes to defend its authenticity. It’s a forgery. Now all this should give us pause in relation to the Jordanian lead codices. On the one hand, the (duly vetted) opinions of scientists based on materials testing should be taken into account and indeed should be given considerable weight. But on the other hand, neither the tests nor the scientists are infallible. And there are serious problems with the idea that the codices are ancient artifacts. I am willing to concede for the sake of argument that there is a core group of codices that are at least 100 years old and perhaps 200. But I regard any claims of greater age to be as yet not proven. And I cannot decisively rule out the possibility that even these results could have been faked by a clever modern forger. I think Dr. Zinner and I do not have any serious disagreements on this subject. In my next post I will turn to more familiar (to me) matters regarding the inscriptions on the metal codices. Having now seen the full report and gone over its main points, I can say that I do not think there is a credible case that the lead codices are genuine ancient artifacts. Cross-file under Fake Metal Codices Watch. I acknowledge that various elements of the current discussion may point to some of the codices being something other than fake, but I remain to be convinced. See my coming posts for more. In any case, I continue to include this cross-file rubric so that readers can search it to find all my posts on the subject. For past posts on the codices, start here and follow the many links. APOCRYPHICITY BLOG: 2017 International SBL Christian Apocrypha Sessions Report. Tony Burke is back from Berlin with a report. The content is broader than the title indicates. It includes papers on Jewish Apocrypha, a pagan text adopted later by pretty much everyone (Ahiqar), and Jewish-Christian material. There's more on the 2017 ISBL meeting in Berlin here and here. ASTRONOMY: Solar Eclipse of 2017: Four Reasons It's Bad, According to the Talmud. Judaism's central rabbinic text says today's solar eclipse is nothing to celebrate (Allison Kaplan Sommer, Haaretz). But at the downtown Brith Shalom Beth Israel synagogue Sunday evening, nestled in the historic southern city perfectly positioned for the Monday event, Dr. Jeremy Brown had bad news for a group who had gathered for a kosher meal on “Eclipse Eve”: in traditional Judaism, an eclipse is nothing to celebrate. “Eclipses happen because people sin,” he said. There’s no getting around it, Brown says. The Talmud - the central text of rabbinic Judaism - is unambiguous in its interpretation of eclipses - both lunar and solar, as a form of divine punishment - a curse to be dreaded and feared, rather than a miraculous wonder of nature. If that isn’t bad enough, Brown told his audience of Charleston locals and Jews who had come to the city for the big event, the four sins specifically blamed by the Talmud plunging the earth into eerie darkness are so notably bizarre and politically incorrect, that nobody really wants to talk about them. This has led to a certain amount of exegetical difficulty in the centuries since. Meanwhile, if you are in a position to observe today's eclipse, please stay safe! An earlier post on today's eclipse is here. Some past PaleoJudaica posts dealing with (or debunking stories about) solar and lunar eclipses are here and here and links. And see also this recent post by Carl Rasmussen at the HolyLandPhoto's Blog: A Solar Eclipse and Old Testament Chronology. Today's eclipse and King Hezekiah? BIBLE HISTORY DAILY: August 2017: An Eclipse of Biblical Proportions. Solar eclipses and Biblical events (Frederick Baltz). I don't recall seeing this explanation before for Hezekiah's reversing sun-shadow on the "dial of Ahaz" (2 Kings 20/Isaiah 38). In general I am skeptical about naturalistic explanations for biblical miracles. But I am not an astronomer. I don't have the expertise to evaluate this one. I blog, you decide. THE JUBILEES PALIMPSEST PROJECT has some 2017 updates on its website which I have not yet noted. The project is devoted to technological reconstruction of (inter alia) the under-text of a Latin palimpsest manuscript containing the Book of Jubilees and a fragment of the Testament of Moses. In particular, they have now published a detailed reconstruction of the layout of the codex with sample photographic pages covering a few columns of Jubilees and, at the very end, the full text of the Latin Testament of Moses. Past posts on the project are here, here, and here. For other posts on palimpsest manuscripts, start here and follow the links. BIBLIOGRAPHIA IRANICA: Revolt and Resistance in the Ancient Classical World and the Near East. Notice of a new book: Collins, John & J.G. Manning. 2016. Revolt and Resistance in the Ancient Classical World and the Near East: In the Crucible of Empire. Leiden: Brill. Follow the link for a description and the TOC. Not surprisingly, the ancient Jewish revolts against various pagan overlords receive thorough coverage. THE BIBLICAL REVIEW BLOG: “The Routledge Encyclopedia of Ancient Mediterranean Religions” (William Brown). THE BIBLE AND INTERPRETATION: Can Genetics Solve the Mystery of the Lost Ten Tribes of Israel?. By Steven Weitzman, Department of Religious Studies, University of Pennsylvania, Augusta 2017. Geneticists will always need to rely on non-genetic evidence to make any historical sense of the data—written texts, oral traditions, and interviews with people about who they are and where their ancestors come from. Without such evidence it is impossible to turn the testimony of DNA into a coherent account of the past, and that process means that there will also always be some degree of imagination involved in the construction of genetic history, just as is the case for historical accounts based on ancient texts or archaeological finds. This is a good reminder that scientific texts are not as objective as sometimes we would like to think. For past posts on Professor Weitzman's research, including his recently published book, The Origin of the Jews: The Quest for Roots in a Rootless Age, see here and links.